Update: Our look at the election results can be found here. In the upcoming Singapore General Election (GE), for the first time ever, all 89 parliamentary seats will be contested. On 11 September 2015, every eligible Singaporean will be able to vote at a polling station, and most will be deciding between the ruling People’s Action Party (PAP) and alternatives like the Workers’ Party (WP). For the past 50 years, the PAP maintained a stronghold in Parliament, steadily winning the vast majority of seats in every GE until 2011. The late Mr Lee Kuan Yew, who led the PAP until the 1990s, was a charismatic and strong-willed leader who believed that ruling leaders “must have the iron” in them. His foresight in economic matters and foreign affairs has been hailed as the key reason for Singapore’s rapid growth from third world to first. With Mr Lee’s passing earlier this year, GE 2015 will officially usher in a new political era and be a major testing ground for current Prime Minister and PAP leader, Mr Lee Hsien Loong. In GE 2011, Singapore’s most recent “watershed election”, the dominant opposition party, the Workers’ Party (WP), won 7 seats including 1 group constituency, creating an unprecedented crack in the PAP’s strong walls. GE 2011 also saw the retirement of Mr George Yeo, former Minister for Foreign Affairs and PAP candidate, from the local political scene. It was a difficult decision for Singaporean voters in the Aljunied constituency, not unlike the decisions that may be made in this GE’s “hot” constituencies, including the East Coast and MacPherson constituencies. Was choosing WP the right move? With rigorous debate over the Aljunied-Hougang-Punggol East Town Council saga dominating the early stages of GE 2015, the jury is still out. 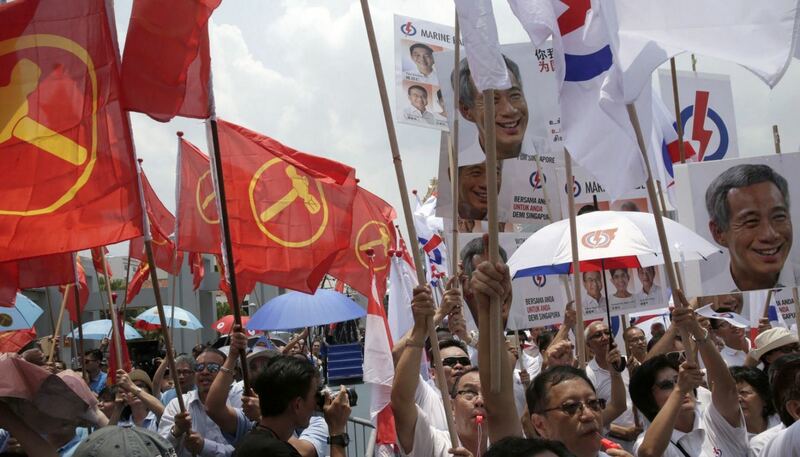 Although the political scene in Singapore is relatively young, it is evolving. In GE 2015, there have already been some obvious changes. Opposition parties, including smaller ones like the Singapore People’s Party and Democratic Progressive Party, are now fielding more educated candidates with distinguished professional backgrounds than ever before, touting them as competent spokespersons for the people. Certain opposition candidates, such as SDP’s Dr Chee Soon Juan, have also been emphasising that their parties offer many viable alternative policies to those currently in place by the PAP. A more regular use of statistics and studies to back up such policies has given the impression that they are well researched, albeit not tried and tested in Singapore yet. Compared to previous elections, the number of credible alternative media websites has increased substantially, allowing the electorate to have a more informed understanding of all political parties and candidates. At the end of the day, the PAP’s narrative is simple. The PAP is a cruise ship: vote for the PAP, and the party’s competent and incorruptible leaders will continue to make Singapore an exceptional nation. Vote for the Opposition, and you will get “a mouse in the House”. In response, WP’s leader, Mr Low Thia Khiang, agreed that the PAP is a cruise ship, but “[its] name is Titanic” (alluding to its fallibility). In this regard, the PAP has repeatedly emphasised in its manifesto and rallies that it has a strong track record and has delivered on its promises to the people. Opposition candidates have also said that it is ludicrous to expect the PAP to check itself (“students cannot mark their own scripts”), and that more can be done to help Singaporeans who have fallen through the cracks. While Mr Tharman Shanmugaratnam, the Deputy Prime Minister and a PAP candidate, called the Opposition’s policies “false promises” that require a high amount of spending which will compromise the country’s reserves, opposition parties like Singaporeans First and the SDP have firmly defended their positions. Regardless of who is correct (or wrong), this divisiveness in politics and policies has generated great interest in opposition rallies, and accordingly, the crowds have been large. In all likelihood, the PAP will continue to form the next government. The election is more a matter of how many opposition members and parties, if any, Singapore will see in its new Parliament. Will the people continue to trust and support the PAP, or will the desire for cross-party checks and concerns over pensions, cost of living, and immigration policies prevail? GE 2015 will be hard fought. In three days, Singaporeans will either witness yet another renewal of the PAP’s legacy, or a continuing shift in the tides of political control. However, to many, these are empty words; perhaps the bread-and-butter issues are the only real concerns. Ultimately, to vote for the Opposition is to take on a certain risk – it is to depart from the familiar and enter new territory. Whether this is a risk worth taking remains squarely up to the judgement of Singapore’s increasingly vocal and astute electorate.